Top suppliers have already signed up to be part of next year’s premier mining expo for West Africa, WAMPEX 2018, which is celebrating its 24th year. Following the turnaround in mining commitment from both governments and mine owners over the past 12 months, the expo already looks set to attract a record number of exhibitors. “We are pleased to see that some of the biggest suppliers have already agreed to be part of WAMPEX 2018 and we believe this reflects the increased investment agenda across West Africa,” said Brad Hook, Commercial Director at dmg-ems Africa, the organiser of WAMPEX. “We are forecasting more than 1,400 buyers and decision makers will attend the expo – an increase over our last show,” says Hook. 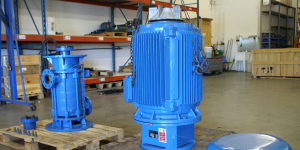 Exhibitor Sunbabsco Ltd is a leading supplier of pump, motor and valves to the sector and has confirmed it will exhibit at WAMPEX 2018, as well as KSB, a worldwide exporter of pumps and dredgers. 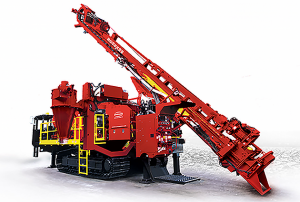 Mantech Mining Services, one of world’s leading suppliers of hydraulic drills, crawler drills, drilling rigs, drilling bits and pipes, will also be at WAMPEX as will Servaco PPS, whose supply list includes power transmission gearboxes, generators, invertors as well as products and expertise in grinding, welding and power tools. Former Ghanaian exporter of the year Interplast will show its uPVC & HDPE pipe solutions in Accra and Nezo will be at the show as well with its unique range of services for the mining and oil & gas sectors, from procurement to consultancy, training to logistics as well as its import/export expertise. The African mining sector has seen three years of change but as world commodity prices came out of their slump this year, governments are recognising that mining is a key to future income. For example, in Nigeria, where oil has dominated foreign investment for a decade, its government last month reaffirmed its intention to seek new international partners to boost its under-developed mining sector. WAMPEX 2018 runs alongside the West African Mining & Power Conference, WAMPOC, where senior government and industry heads and influencers discuss policy, legislation, challenges and market developments.